The teams that make it first to the finish line in Alta, will take home some great prizes and awards; money, four-wheelers, dog food gift cards, and glass art from Northern Norway. A long list of awards and prizes are handed out after the race. More than NOK 130,000 in prize money is to be awarded and distributed among the first 20 teams in FL-500. The winner of FL-500 will receive a NOK 32,000 cash prize, a Polaris Sportsman 570 EPS All-Terrain Vehicle (ATV) worth NOK 90 000. In addition, the winner gets glass art from Arctic Glasstudio, a gift card from Labb (dog food), and a complimentary night in a Scandic Alta hotel suite, accompanied by a three-course dinner in the company of the Hotel Director and other invited guests. The rookie of the year in FL-500 will be presented with a great dog sled from Oinakka. More than NOK 320,000 will be awarded and distrubted among the 20 first FL-1200 teams. 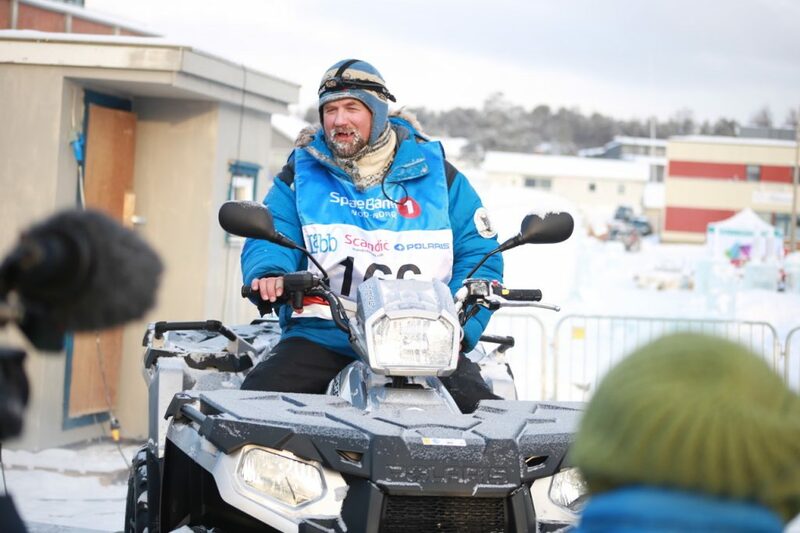 The winner of FL-1200 receives a cash prize of NOK 68,000 and a Polaris Sportsman 570 Touring SP All-Terrain Vehicle (ATV) at a value of NOK 110 000. In addition, the winner receives glass art from Arctic Glasstudio, a gift card from Labb (dog food), and a complimentary night in a Scandic Alta hotel suite accompanied by a three-course dinner in the company of the Hotel Director and other invited guests. Halde and Suolovuopmi Fjellstue present the rookie of the year in FL-1200 with an Origo Heat pal 5100 red-burner and a three-course dinner at Suolovuopmi Fjellstue. Furthermore, the team with the best accumulated result from the FL-1200 race in 2018 and 2019 will win a cabin worth up to NOK 600,000. The popular prize is donated by Saltdalshytta – a Finnmarksløpet partner since 2008. SpareBank1 Nord-Norge gives this year’s best foreign mushers, both in the FL-500 and the FL-1200 class, a Sami knife from Knivsmed Strømeng. The Red Lantern Award in Finnmarksløpet is a dog house from Aksis. This award is presented to the last musher to finish the race, both in the FL-500 and the FL-1200 class.